上海総合指数日足・2011/09/27前後に変化日/SSE Composite Index (Shanghai: 000001.SS) Daily. 2011/09/27 may be “HENKABI”. First, we analyze 2010 year market. The point A is the year high of 2010 and also the highest point of the “neck and shoulder”; we can determine “S HENKATEN”. Next is this year market. 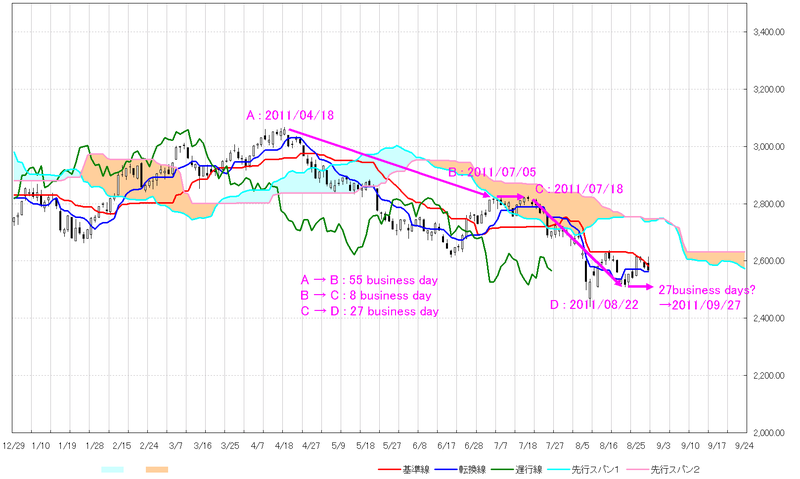 If 2011/04/18 settles a base point, we can see the similar “HIGARA” as 2010. 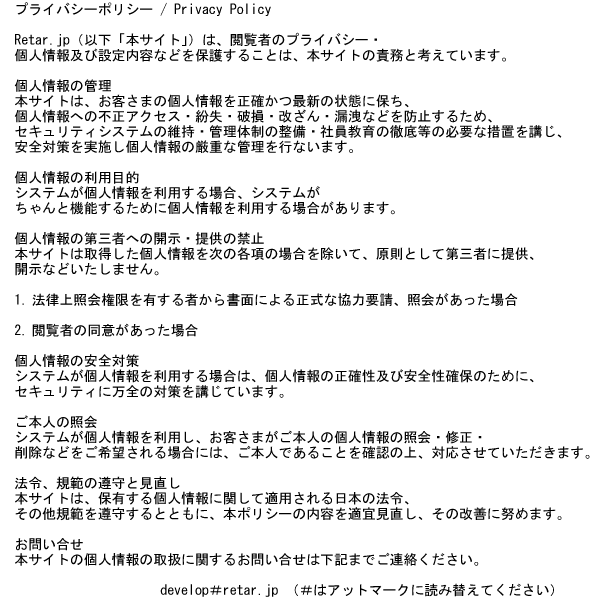 27 business days from 2011/08/22 become 2011/09/27. 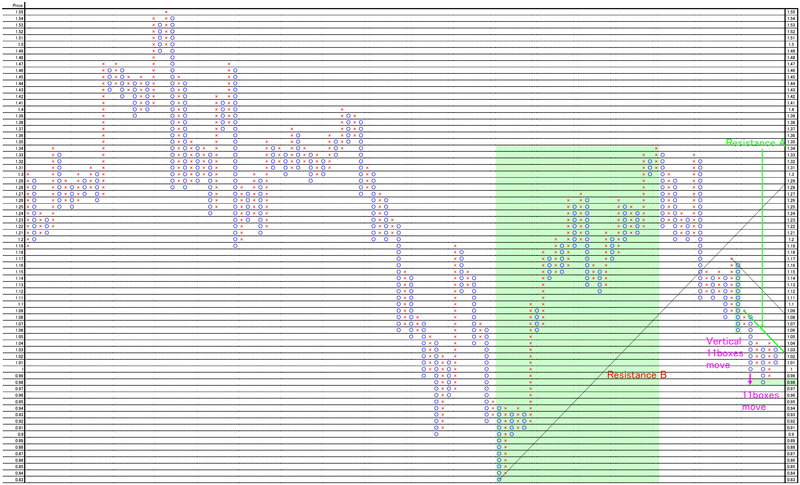 The market price is now under “Resistance A” (45 degree line); now the market is bearish. 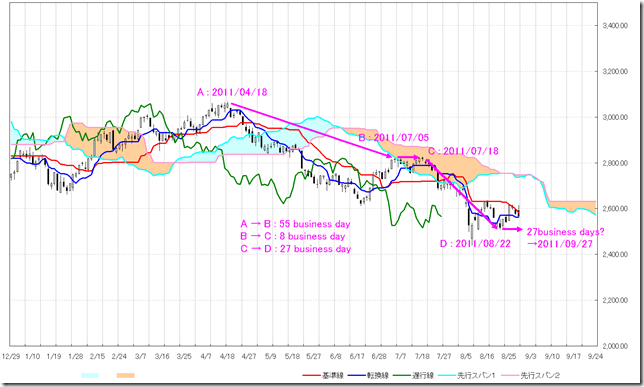 日本10年債利回り日足・短期的底入れ後、レジスタンスで下落反転/Japanese Government Bonds 10-Year Daily. Bearish. 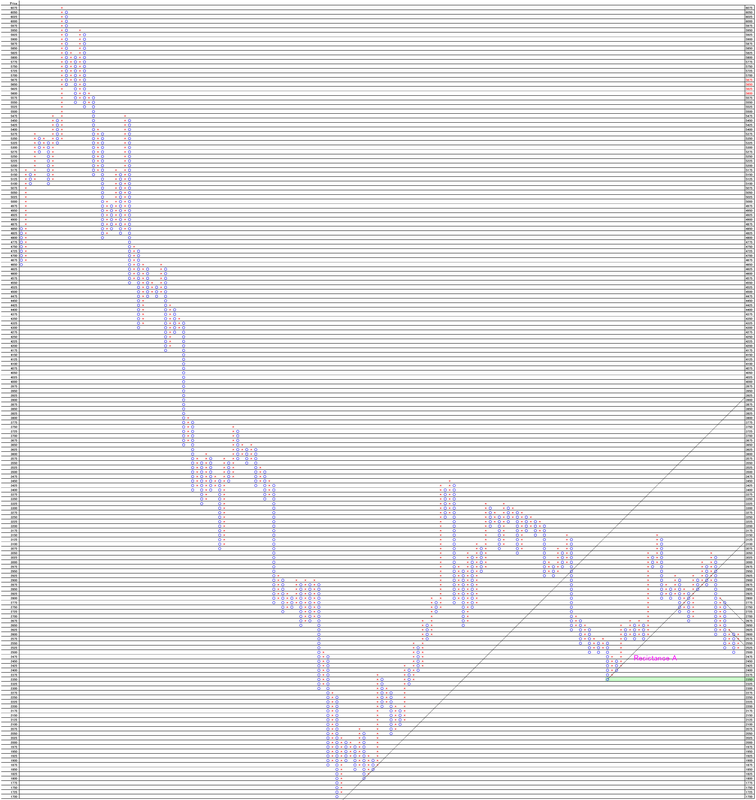 The market reached the target and reversed. After that reached the resistance. The market price moved 11 boxes and reversed. 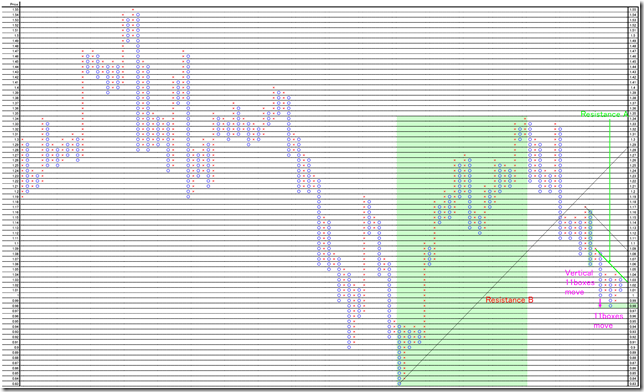 After that the market price did not go over “Resistance A” (45 degree resistance). We need to take a rest for next market action.